Trade unions have claimed another win in the battle against exploitative working conditions at Sports Direct after owner Mike Ashley bowed to pressure and agree to hold an independent review. Unite said the development was a “vital” part of the struggle to ensure the firm tackles its “many and serious” workplace problems. Ashley today accepted that his planned review – which was expected to be carried out by the retailer’s solicitors – must be delivered by an independent body. It comes after a committee of MPs said Sports Direct’s working practices were close to those of a “Victorian workhouse”. The firm said the new review of working practices and corporate governance would be conducted by an independent body although it has not stated which organisation will do the work. 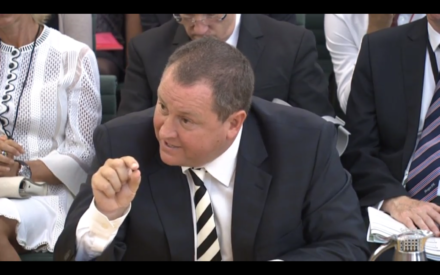 Sports Direct has been under the microscope since newspaper reports emerged in December 2015 detailing harassment, daily searches and often below minimum wage pay. An earlier preliminary review had been produced by RPC (Reynolds Porter Chamberlain), a law firm which had previously worked with both Ashley and Sports Direct, and they had been due to continue the work. There was however strong shareholder support for the further review to be completed by an independent body, the sportswear firm said. The new review was greeted with caution by Unite and Labour MPs. Jon Trickett, shadow Business Secretary, said it marked “a step in the right direction towards ridding the company of its exploitative practices once and for all”. “Labour are looking at ways to improve corporate governance to avoid such scandals in the future, and to ensure that the highest standards apply in British industry,” he added. Steve Turner, assistant general secretary of Unite, Britain’s largest union, pledged to work with the troubled company. “We have always urged, as we did at this year’s AGM with the backing of investors, that an independent review is a vital component of this company truly getting to grips with its many and serious employment problems, so we are pleased that the company has now seen sense. Meanwhile TUSO, the TUC group which uses shares to get a bigger voice for workers at those companies, said Sports Direct must now work with staff and especially young employees to deliver reforms.